In 2011, I wrote a column defending Sam Harris against critics of his perceived “Islamophobia” (no scare-quotes from here on, but please assume that I consider the term problematic, for reasons including those I outline below). Harris, and atheists in general, do have a problem with Islam, just as they have a problem with Christianity. If Zoroastrianism was still popular, we’d have a problem with that too. But this generalised antipathy stems from the fact that religion encourages people to believe things on the basis of poor or nonexistent evidence. If we think it a good thing that people tend to believe what is true and disbelieve what is false, believing things in this way would be a harmful trait that merits discouragement. This discussion never really goes away, but it’s foregrounded at present thanks to the barbarism of ISIL, and – on a more prosaic level – a recent CNN interview with Reza Aslan, and then the Bill Maher segment featuring Ben Affleck and Sam Harris. I’m not going to focus on those interviews in their specifics, but I encourage you to watch them if you care about the context. There are also numerous commentaries and critiques you could read – this one by Avicenna Last (on the Maher/Affleck/Harris segment) probably comes closest to capturing my response to Harris, and also includes a useful transcript of the show. The purpose of this post is rather to make two points that are of general concern in this debate. First, on Islamophobia: Islam is of course not a “race”. However, there are other ways of being bigoted than simply being racist. And, when one responds to a charge that you’re prejudiced by (simply) asserting “I have nothing against Muslims, it’s their religion I hate”, you might forget that this can serve as an evasive gambit. The religion is held by people – and held with great commitment and sincerity – so criticism of it might be difficult to separate from criticisms of them. Scott Atran is worth reading on the sociology and psychology of belief, and how wilfully obtuse the language of “I respect people, but not their ideas” can sound to people who hold the ideas you happen to disrespect. Second, I do think that Harris (and others) don’t consistently make the point that it’s primarily the extremists that they think problematic. Their language (and sometimes tone, which I think important) can create the impression that their criticisms apply generically to Islam, especially (I’d suspect) to people of that faith. The point that Affleck was trying to convey is that there is a tendency for critics of Islam to read or sound like fundamentalists themselves, in part because they assume that an audience is as capable of separating the context from the logic of argument as they are. Our discussions take place in a political context, and persuasion depends in part on recognising that. It is relevant, as Affleck points out, that more than a billion Muslims are only similar to ISIL in the sense that they all pray five times a day. They’re not similar in the sense that they will kill for this right, and I’m also not persuaded by Harris’s claim in the End of Faith that moderates provide some sort of “cover” or “legitimacy” for extremists. Or, how about we make make an effort to keep those moderates on our side, by not speaking in ways that make it appear we see all Muslims as different only in degree, but not in kind – because when you say they are of the same kind, you’re telling your neighbour that she’s really just like the beheaders, when one dispenses with the tact. Anti-fundamentalism can play into stereotypes, too – and maybe, in doing so, it can give some power to the extremists. Because if you cast them as martyrs, moderates will be surrounded with examples of their religious identities being questioned and attacked. Would you think that makes them more, or less, less likely to join the secular battle against fundamentalism? Of course it is unfortunate, and prejudiced, for many commentators to have assumed that Breivik was a Muslim – and for those who assumed this, the bias is clear in how they concocted quite torturous narratives to explain why a Muslim would target kids at a Labour Party camp. It made little sense that he would (from those motives), yet the perceived equivalence between terrorism and Islam were too strong for some to resist. And now that we know he was not a Muslim, but that he was instead perhaps a Christian, probably a Mason, and certainly an ethnic nationalist, much outrage has resulted from the selective use of words like “terrorist”, or “fundamentalist” – once he was revealed to not be Muslim, some columns and Tweets stopped referring to Breivik as a terrorist. This again exposes a bias, whereby something that is the subject of extreme fear and emotive reaction is illegitimately associated with a particular religion. But this is the problem with stereotypes – they are blunt instruments, which even when grounded in something true, can be so broad as to capture many cases that are not true. And this one is founded in something true, despite how impolitic it might be to say so. The fact that Breivik might be a “Christian fundamentalist” cannot obscure the fact that much of what we describe as “terror” in the recent past has come from those that we caricature as “Islamic fundamentalists”. The fact that some Muslims will say that Muslim terrorists are “not real Muslims”, and that Christians will say that Breivik is not a “real Christian” is irrelevant. People who commit acts of terror get their mandate from something or other – and if a belief system can be interpreted to provide that mandate, this is a reality (and a problem) that that religion has to deal with. 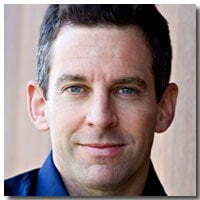 And as Sam Harris pointed out, it is an unfortunate fact that as far as religious belief systems go, Islam is correlated with a disproportionately large amount of oppression and intolerance of competing world-views, including secular world views such as those that promote gender equality. The violence in Oslo is no excuse for Islamophobia. But we don’t need (another) one – as with all religions, Islam teaches you that propositions with no (or poor) evidence can be regarded as fact. Religions allow you to engage in metaphysical Ponzi schemes, whereby debts can be paid later down the line – rather than you being accountable right now, for what you do in this life. Again, it doesn’t matter that this might be a poor reading of whatever scripture, from whatever tradition, you want to thrust in my face – these traditions are open to such interpretations in ways that others are not, and they have to take responsibility for that. 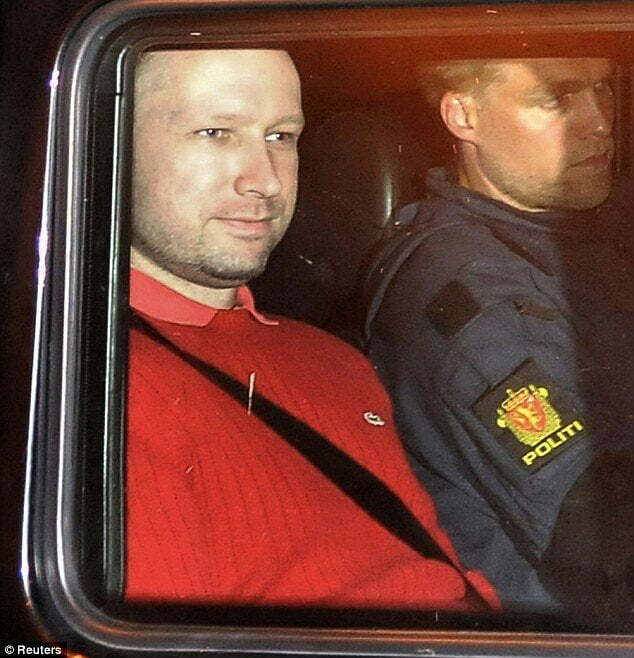 Breivik’s problem – or our problem, that is presented by people like Breivik – is that he is perhaps insane, and that he believes nonsense so strongly that he is prepared to kill for it. 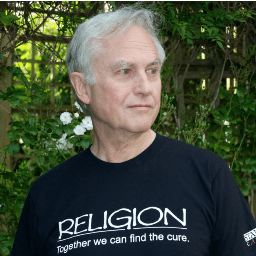 Any of us – and any religions – that encourage belief in nonsense is at least partly culpable. If a particular religion has a larger component of such nonsense than another – such as routinely allowing rights violations and perpetuating gender inequality – it is proportionally more culpable. This remains true, no matter how many Muslims, or Christians, are appalled by the actions taken in the name of their chosen fictions.